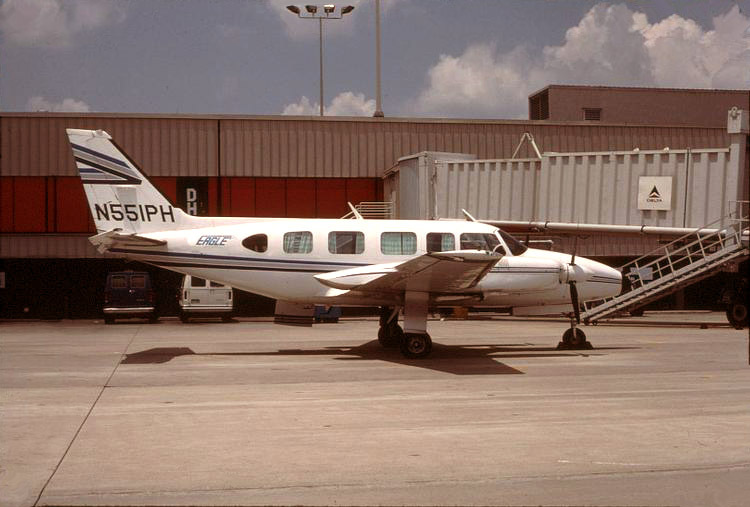 During 1985, Auburn, Alabama-based Eagle Airline operated Piper Navajo equipment on an Atlanta - Auburn - Tuskegee, Alabama route. This same route had been operated by Southeastern Commuter Airlines in the late 1970s. Piper Navajo N551PH is pictured on the ramp at Atlanta Hartsfield Airport in 1985. 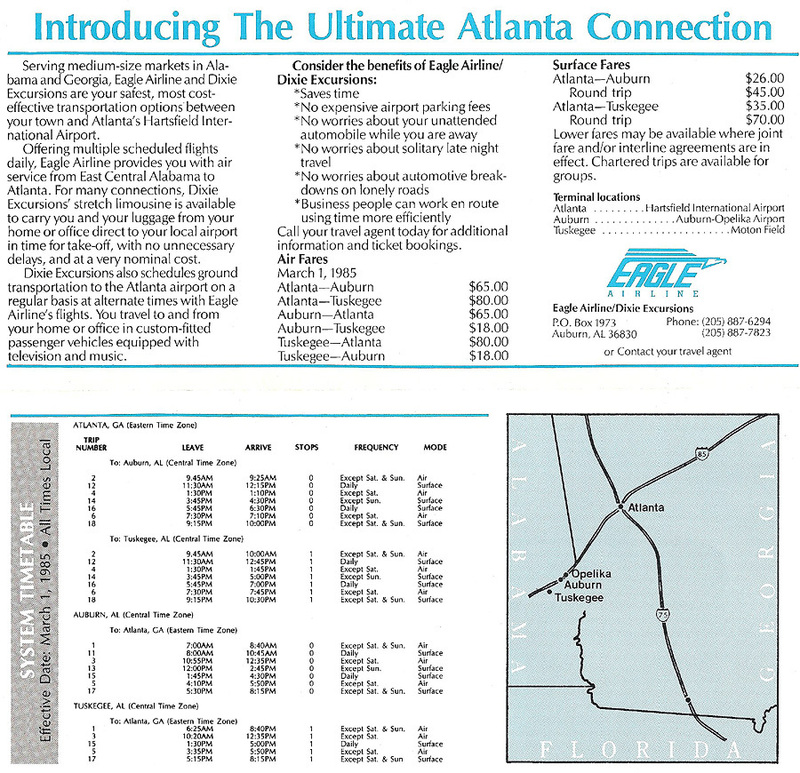 Cover of Eagle Airline timetable effective March 1, 1985. Eagle Airline timetable dated March 1, 1985. Aside from the scheduled Eagle Airline flights, this shows stretch limousine service courtesy of Dixie Excursions.